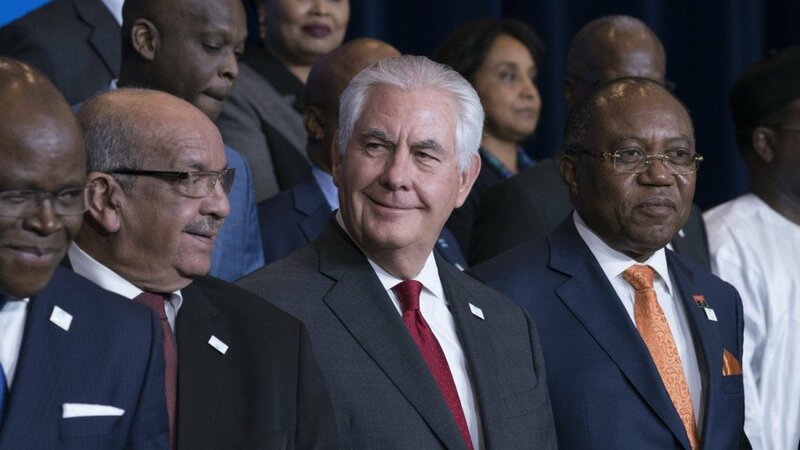 Oil magnate turned top United States envoy, Rex Tillerson, is scheduled to drop into a number of African states under the premise of strengthening relations between Washington and the continent. This mission by the Secretary of State coincides with the announcement on March 1 that President Donald Trump is imposing tariffs on steel and aluminum imports. An already volatile stock market in the U.S. and abroad reacted negatively to the declaration of a possible trade war. 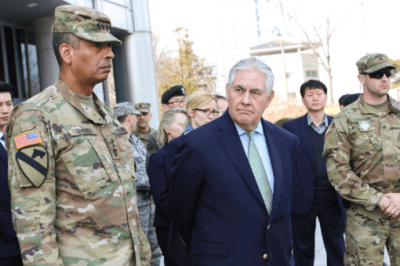 Trade relations with the African Union (AU) member states will undoubtedly be on the agenda during the Tillerson tour. Nonetheless, there is no reason for African states to trust the purported motivations of the Trump administration which has spoken so despairingly about the prospects for immigration to the U.S. from non-European nations. Over the last four years African energy, minerals and agricultural producing countries have seen a decline in their economies due to the drastic reduction in commodity prices on the international markets. Consequently, there has been the reemergence of the debt crisis which stifled growth and development from the 1980s to the end of the 20th century. During his trip from March 6-13, Tillerson will meet with leaders from Djibouti, Chad, Nigeria, Ethiopia and Kenya. All of these states have longtime economic and military ties with Washington and Wall Street. Djibouti is the location of Camp Lemonnier where thousands of Pentagon troops are stationed as part of the U.S. Africa Command’s (AFRICOM) largest base on the continent. The Federal Republic of Nigeria was at one time the largest African exporter of crude oil to the U.S. from the continent, although a shift in American oil policy under the previous administration of President Barack Obama changed these trade dynamics drastically. Ethiopia and Kenya in East Africa are strategically located in a region where enormous discoveries of oil and natural gas have taken place over the last few years. Addis Ababa, the headquarters of the AU, is a large recipient of military hardware from Washington where Kenya maintains similar ties along with prospects for becoming a major supplier of oil to the world market. However, these “open arms” can only be filled with further efforts by the leading imperialist state to exploit Africa. During the entire post-independence history of the continent Washington has sought to undermine any efforts aimed at achieving genuine liberation, territorial sovereignty and political unity. The current economic plight of most African nations derives from the dominant role of imperialism in the world system. In recent years State Department policy towards Africa has been designed to discourage the growing cooperation between the People’s Republic of China and the AU combined with an intensifying military presence through Pentagon bases, drone stations and the transferal of munitions to allied governments. What Impact Will U.S. Trade Policy Have on African States? Trump is attempting to follow-up on his 2016 campaign promises of imposing tariffs on countries such as China which he accused of dumping products into the U.S. market worsening the already huge trade deficit. Nonetheless, official figures indicate that only two percent of steel entering the U.S. comes from China. Moreover, Canada, which is considered a close ally of Washington, will be seriously impacted through such a policy since it is the largest importer of steel into the U.S. Following Canada, the volumes of steel imports coming into the country are from Brazil, South Korea, Mexico and Russia, in that order. Canada is also the largest importer of aluminum as well. Other nations following Ottawa in this sector are Russia, the United Arab Emirates (UAE) and China. These policies are already having an impact on the Republic of South Africa, the continent’s most industrialized state. Stock prices declined on the Johannesburg exchange on March 2 as fears rose over the sustainability of the country’s emergence from a severe recession during the last two quarters of 2017. Overall U.S. trade with Africa has declined over the recent period. Under the Obama administration, there were significant decreases in trade which disappointed African leaders who felt that since the former president had family ties with the continent he would have sought to enhance economic relations on a positive level. African immigrants into the U.S. are some of the most educated and skilled therefore Trump’s racist comments during 2017 drew sharp criticisms and resentment. Moreover, Africans in centuries past who were brought to North America as slaves built the economic foundation of the U.S. creating the conditions for the country to establish itself as the ranking capitalist nation during the 20th century. In actuality, the growing presence of AFRICOM forces on the continent is a major threat to the independence of AU member-states. The existence of large deposits of oil, natural gas, diamonds, gold, uranium along with other strategic minerals and waterways underline the real interests of Washington and Wall Street. While in Nigeria, Tillerson will surely discuss the status of U.S. trade with the West African state, the most populated on the continent. Also just last year, the Trump administration announced the lifting of a ban on the sale of military equipment including fighter jets which had been imposed by the Obama White House over alleged human rights violations. The Boko Haram insurgency in the northeast of the country has once again been in the news since the kidnapping of 110 school girls in the town of Gapchi in Yobe state. These students have still not been rescued by the Nigerian military and police. President Muhammadu Buhari announced on March 2 that the Nigerian security forces would extend the search for the students into contiguous states such as Niger, Cameroon and Chad where there is already a regional joint counter-terrorism taskforce in existence. Although the federal government in Abuja has repeatedly said that it has cleared out Boko Haram from many areas in the northeast, the sect is still able to launch suicide bombings, attacks on military installations and kidnappings at an alarming rate. Until AU member-states can resolve their own issues related to viable economic growth and development coupled with protecting regional assets, state institutions and the security of the masses of people , the U.S. and other European imperialists will surely continue to interfere in the internal affairs of their governments and societies. At present the character of relations between Africa and the U.S. is not advantageous to the workers, farmers and youth of the continent. This can only be achieved through the reversal of the process of dependency and the enhancement of African sovereignty and unification.